Today's earlier accident at Bruntcliffe Road is now confirmed as fatal. 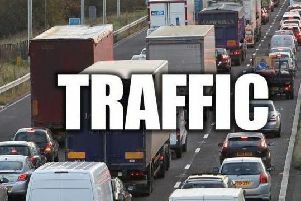 A motorcyclist has died after being involved in a crash with two cars in Morley this morning. He was riding an Aprilia 125 along Bruntcliffe Road, towards Bradford, just after 9am today (Monday) when he was involved in a collision with a black Audi Q7 travelling in the same direction and grey Ford Kuga travelling in the opposite direction, outside the Shell petrol station. West Yorkshire police confirmed this afternoon that the male rider was pronounced dead at the scene and added that no-one else was injured in the incident. A road closure was put in place while officers dealt with the scene but this was lifted and the road reopened at 2.25pm. Officers are keen to speak to anyone who witnessed the collision or the movements of the vehicles involved in the time leading up to it, particularly anyone with any relevant dash-cam footage. Anyone with information is asked to contact West Yorkshire Police Major Collision Enquiry Team via 101 quoting Operation Pastelmount or log number 330 of February 11.